It's good for your company, it's even better for the environment. Get smart about recycling. 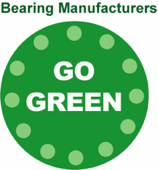 Let us help you look at what your company consumes and we will help you find ways to recycle, reduce and reuse. Cutting operational costs is a must for survival in this difficult business climate. We can be an important part of the solution. Visit our services section for a full description of what we can do for you. N-Well Inc was established in 1996 with a sole purpose of helping our customers achieve their desired goals in all areas of their operations. Special emphasis was placed on the areas of quality, productivity and operational efficiencies. We would be more that glad to help you find means and ways of reducing your operating costs. We can help you with product sorting tasks and packaging requirements involving all other types of products. Dismantling is one way we can help your company reclaim material. Inspecting parts and components with proper care and attention, based on our client's individual needs is our top priority. We are reliable and dependable with no delays. If you wish to have N-Well assist you with labor intensive assembly operations we would be more than glad to help you meet your requirements.